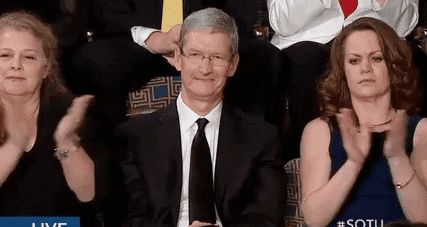 As news yesterday overtook iPhone , Tim Cook, Apple's CEO, has been invited to his State of the Union that the U.S. President Barack Obama is speaking live now. And our predictions have been fulfilled to the letter: Tim Cook was invited to be the leader of one of the most valuable companies in the U.S. and Apple's role in the country's economy. Two factors could not pass by Obama's speech. "Companies like Ford are bringing jobs to the U.S. from Mexico. Intel has done the same: after having been present in several plants in China, returns home with plans to open new plants. And this year, Apple will make Macs in the U.S. again. " Article Apple: reference during his State of the Union Obama was originally published in News iPhone .